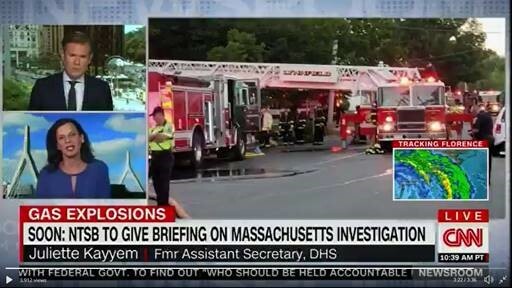 Weston & Sampson was part of the urgent response team in Merrimack Valley helping to restore commercial gas services to businesses affected by the September 14, 2018 over pressurization incident. Manny Manganais and Jay Gamble were part of the Back to Business (B2B) Team tasked with restoring 685 commercial customers in Andover (217 customers), North Andover (155 customers) and Lawrence (313 customers). 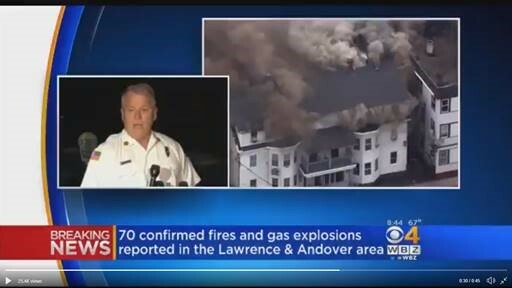 Last fall, an over pressurization of Columbia Gas of Massachusetts’s low-pressure gas distribution system in Andover, North Andover, and Lawrence occurred that caused numerous leaks, fires, explosions, and damage to the distribution system and customers’ house piping and equipment. The event led to more than 8,000 residential and commercial customers left without gas service. Crews from across the country came together to assist in the recovery and restoration efforts. Manny Manganais and Jay Gamble, along with 40 others, responded to an urgent request by the Associated General Contractors (AGC) of Massachusetts for project managers to work on the B2B Team. The Team was directly responsible for restoring 435 of the customers and supporting the remaining customers who decided to self-mitigate. At the height of activity, the B2B Team managed over 150 trades personnel (plumbers, pipe fitters, HVAC techs, electricians, carpenters, and laborers) from contractors throughout New England and mutual aid gas company employees from California and New Jersey. Though originally called to serve as project managers, both Manny’s and Jay’s roles were elevated numerous times when their construction and gas industry and project management expertise became apparent. Manny was initially assigned to the Andover field operations team as resource coordinator/scheduler and later expanded his role to include the coordination and scheduling of resources for Lawrence. Jay acted as a liaison between the B2B Team leadership and field operations teams and was later re-assigned to lead a field operations team in North Andover. Jay also took on a procurement role that consisted of working with Columbia Gas’ warehouse and other supply houses to expedite the ordering of materials required by the field crews when the teams consolidated to complete the work in Lawrence. On December 15th, the B2B Team was disbanded with 100% of the customers directly mitigated by the team restored. The B2B Team approach was so successful in the commercial restoration efforts that the Columbia Gas Recovery Team adopted this approach with the residential recovery team to complete their work. Weston & Sampson is proud to have played a role in bringing normalcy back to commercial customers in the Merrimack Valley after such a devastating incident. Posted in Newsletter and tagged merrimack valley, newsletter.